Department of Socio Economic Rehabilitation | Ali Yavar Jung National Institute of Speech and Hearing Disabilities (Divyangjan), Mumbai. The Rehabilitation process remains incomplete till it is equipped with the Socio Economic Rehabilitation Component. In fact the Socio Economic Rehabilitation forms the most important part of the total rehab process. AYJNISHD is trying to create such facilities by way of establishing required infrastructure. We have a full-fledged Socio Economic Rehabilitation Department to take care of the socio–economic need of the hearing handicapped. To create vocational training opportunities for the persons with hearing impairment in rural areas in collaboration with voluntary organizations. To upgrade the status of vocational training for the persons with hearing impairment. To create awareness among the employers about the capabilities and potentials of the persons with hearing impairment. To identify suitable jobs and assess employment opportunities for the persons with hearing impairment. To develop strategies of placement for the persons with hearing handicapped. To develop guidelines for self–employment for the persons with hearing impairment. To train Vocational Counsellors, Employment Officers, Personnel Officers, Rehabilitation Officers and Social Workers working in the field of Socio–Economic Rehabilitation of the persons with hearing impairment. To provide vocational counseling, career guidance services for the persons with hearing impairment. Skill Development Programme for PwDs through Empaneled Training Partners. Special Employment Exchange for Persons with hearing impairment. The department offers vocational counseling to the clients. While offering such services scholastic achievement, level of aspiration of the clients as well as of their families, socio–economic background of the clients are taken into consideration. Client's interest, aptitude and skills form the base of vocational counseling. The Department conducts Skill training program for Persons with Hearing Disabilities at 3 levels such as In-house Skill Training, Skill Development Program through Empanelled Training Partners Referral Services. The department provides upgraded vocational training to the persons with hearing impairment in the field of Computer Applications like Certificate Course in Computer Software ( 1 Year) , Desk Top Publishing (6 Months) Basic Animation ( 6 Months ) .All the courses are recognized by Maharashtra State Board of Vocational Examination. The entry qualifications for admission to the course on Desk Top Publishing and Software is SSC and that of the Course on Basic Animation is HSC. The session commences in the month of January and July. The course is offered Free of Cost. The institute also imparts Skill Training at ITI level through its extension centers namely Training Center for the Adult Deaf, Hyderabad, wherein 100 Persons with Hearing Disabilities undergo ITI level training program along with their 350 counter parts . The program is conducted in collaboration with Boys Town an NGO. The boarding Lodging and training expenses for the Persons with Hearing Disabilities are borne by AYJNISHD. The Institute is entrusted with responsibility to conduct Skill program for Persons with Disabilities through Training Partners empaneled by Department of Empowerment of Persons with Disabilities under SIPDA scheme. Annually 3000 Persons with Disabilities are skilled through this activity. The Program is conducted across the country. The department assists the clients in securing employment in the Public and Private Sectors. Our institute is empowered by Government of India to sponsor candidates to Public Sector and Government organizations against the vacancies reserved for Persons with Hearing Impairment like employment exchanges. Professional relationship is maintained with Employers to enhance employment opportunities for the persons with hearing impairment. The department refers persons with hearing impairment for employment to Private Sectors and Small Scale Industries. Liaison with Special Employment Exchange is maintained for registration of Persons with Hearing Impairment. Dept. works in close liaison with Government and Non-Government Organizations in the field of Employment and Livelihood of Persons with Hearing Disabilities and participate in job linked training programme by way of referring candidates and providing support services to the training organizations. The department assist the clients in preparing project proposals for self–employment and co–ordinates with Maharashtra State Handicapped Finance Development Corporation (M.S.H.F.D.C), District Industries Centre, Small Industries, Service Institutes (SISI) and financial institutes in getting the loan sanctioned. In addition, information with regard to National Handicapped Finance and Development Corporation are also disseminated. Government of India and State Govt. launched various schemes for welfare of the Persons with Hearing Impairment. The Department co–ordinates with the concerned authorities in implementing the same. Short Term Orientation Training Programmes are conducted for the Vocational Counsellors, Employment Officers, Social Workers and Allied professional working in the field of Vocational Rehabilitation of the Hearing Handicapped. Sensitization Workshop for Panchayat Functionaries, NGO Executives and Employers of Public and Private Sectors on Vocational Training and Employability of the Deaf are conducted. Short Term Courses for the Vocational Instructors on Communication with the Deaf in classroom situation are conducted at regular intervals. Self–employment through National Handicapped Finance Development Corporation (NHFDC). Implementation of provisions enshrined in the Rights of Persons with Disabilities Act, 2016. Setting up District Disability Rehabilitation Centres. 1 Shri. 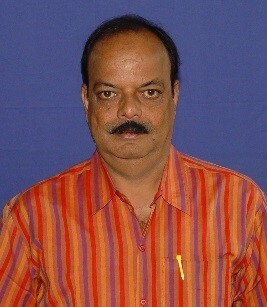 R. Bhattacharya Rehabilitation Officer/HOD M.S.W. 6 Shri Gajanan Parab M.T.S.